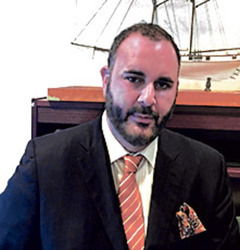 Gianmarco Martuscelli, of La Casa Pasta, announces the one-year anniversary of the Italian restaurant’s Taste Tour of Italy. It’s just a fun and wonderful way to give people a chance each month to taste different foods from Italy that they have never tasted. 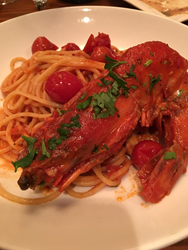 La Casa Pasta’s owner, Gianmarco Martuscelli, recently announced the authentic Italian eatery is marking one year offering its Taste Tour of Italy. “With the Taste Tour of Italy, our patrons can explore a different region of Italy with a special dinner from the selected region,” said Martuscelli. 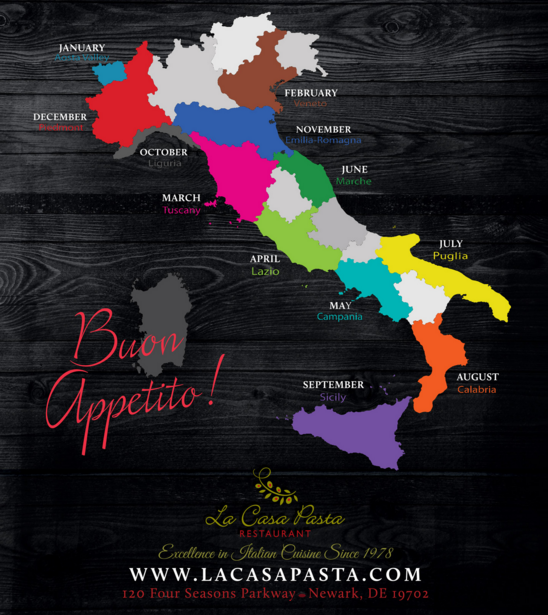 In addition to its Taste Tour of Italy menus, La Casa Pasta changes its menus constantly depending on customer demand. For example, one of its customers recommended a ravioli, and the restaurant played with the idea and eventually added it to the menu. 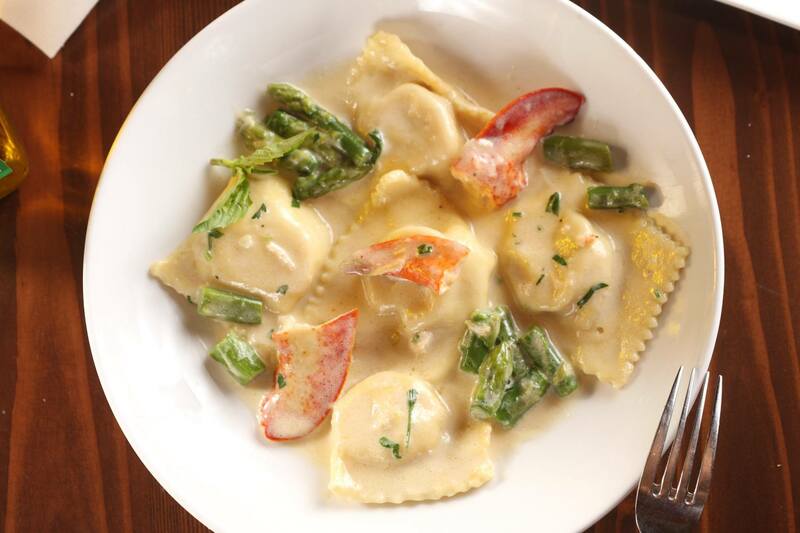 They also offer different homemade ravioli, depending on the season, from pumpkin and short rib to crab and lobster. 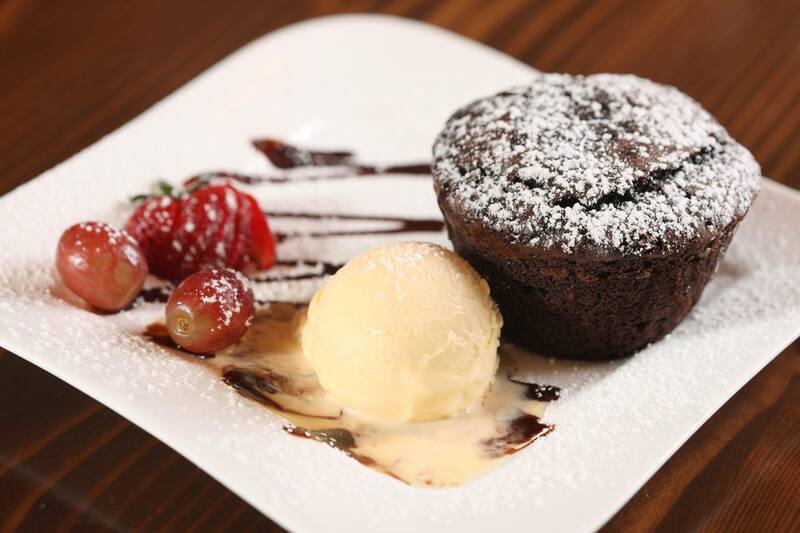 “We are able to experiment and give people what they want because we are not a chain restaurant,” said Martuscelli.